The Doctor takes Clara on one last holiday on board an Orient Express that flies through space. But there's an ancient monster on board, and once you see it you have sixty-six seconds to live. My favorite in-joke was the Doctor gravely offering the mythology professor jelly babies from his retro cigarette case and the professor accepting with equal graveness and only mild curiosity. Yes, I forgot that one, for some reason. I thought this was the point at which this Doctor seemed most himself this season, possibly because they contrived to keep him and Clara apart for so much of the episode. Despite all the ways he's not like the previous post-2005 Doctors, he's hugely Doctorish in a Troughton or Pertwee or Baker I sort of way. On a much more shallow note: I vote for Clara to wear that dress and hairstyle for the rest of the season. I like that even though they've made it a point of saying that the Doctor doesn't remember the details of all of his adventures, he keeps quoting "Are you my mummy?" when it's appropriate (the Tenth Doctor said it when wearing a gas mask during the episodes where the Sontarans created toxic cars). It implies to me that the Doctor remembers that adventure very well because it's one of the times when he saved everybody at the end ("Just this once, everybody lives!"). For all the death he sees (and causes), that was one time that he won on a grand scale. Of course he remembers it well. This one really had the feel of a Pertwee or Tom Baker era episode, and it was the first one where I felt like I knew where they were trying to pitch the new Doctor's characterisation. Top marks, apart from Frank Skinner's acting! Writer of this episode did an AMA this evening. "You do all know that the new Doctor is really the Master? Is that not clear to everyone by now? He couldn't be that callous and be The Doctor. That's why the regeneration was so abrupt. The master beamed out the regenerating 11 and beamed himself in. Simples." My only quibble is wondering how Clara and Maisie left the room they had been trapped in. I suppose Gus could have let them out. I lied. Second quibble. Clara lying to The Doctor and Dan. Why is that even necessary? Just be honest to Dan. I really thought Perkins was going to turn out to be Gus, especially at the end when he's offered a chance to travel in the Tardis. I hope Skinner shows up again. He was great. Loved the in-jokes. Welcome back, jelly babies. I was getting a Tom Baker vibe too. Not sure if it was planned, or it was more a coincidence that Capaldi already sounds like Tom Baker. I thought it was fun. And I loved the jelly baby case. Also the random steampunk monocle making the Doctor cranky. And the Doctor's phone fob. Also, there's a music video of Foxes singing the jazz version of Queen's "Don't Stop Me Now" (she's in the episode singing it, briefly). The video includes some clips from upcoming episodes. I didn't like this episode at all. It pretty much completely firmed my dislike of this entire season so far. However, this to me was a straight up Sherlock rip-off ( Agatha Christie-esque set up plus Moriarity like nemesis). To me this ep was the biggest signal that Moffat needs to pass to someone else. It's become Sherlock in space. I started watching with Tom Baker. I love Tom Baker. I squeed my little heart out during his last appearance. He's my favorite Doctor to date, but this did not at ALL give me a Tom Baker feeling. It gave me a Sherlock feeling. And that's great when I am watching Sherlock. Not Doctor Who. The ending really annoyed me, because it wiped out all progress on Clara's character and reset her back to zero. An addiction? OK, but that shouldn't mean all her hesitations and considerations should just be wiped out because adventure. I agree with Ik ben afgesneden - she shouldn't be lying to Danny. That's just inventing drama. That's basically the job description of a writer, though, isn't it? Inventing drama. I really enjoyed this one. By far the best of the season so far. I rolled my eyes so hard at the premise that I almost did myself an injury (Murder on the Orient Express... IIIIIN SPAAAAACE! !, seriously? ), but it was actually a fun story that hung together well and had (likeable) characters, not just collections of tics. Lots of fun touches, as well, that somehow didn't feel overly laboured: the jelly babies, the Doctor and Clara's reactions to the anachronisms, etc. Noticable, but done in passing. Plus, that was a *really* good look for Clara. Wow. /fans self. Interesting to see that this was by the guy who wrote Frequently Asked Questions About Time Travel, a comedy about three blokes who get swept up in an increasingly complicated time travel/paradox-driven plot. It's one of those rare films in which the characters have seen time-travel films before and are well aware of the tropes, and actually handles the time travel really well without taking it too seriously. Somewhere between "Shaun of the Dead" and this episode in mood. Well worth a watch, if you haven't seen it already. I found the beach scene at the end really jarring, but only because I spent a lot of my childhood and adolescence hanging around on that beach. The cityscape is obviously fake, but the building they're next to is aberthaw power station, and the stumpy concrete structure just out to sea is part of the station's water cooling system. I realise that no-one but me will find that interesting unless there's a large contingent of infrastructure nerds on MeFi, but seeing such a big and familiar landmark from my childhood really threw me. miss-lapin - It's become Sherlock in space. I agree, but in my case that's basically all I've ever wanted Doctor Who to be! Fewer fairy tales that don't hang together and end with a wave of the doctor's magic sonic screwdriver, more stories about an alien genius who runs around solving puzzles and outsmarting people. And also, now, more flapper dresses. I loved the line where Clara and the other woman were sitting in the locked room and Clara says something like, "seriously, we're locked in here all night and we're just going to spend the whole time talking about some guy?" (And then they do). It seemed like a clear reference to the Bechdal test. Grangousier, yes, of course, but it should follow from what has been established for the characters to that point. I didn't find it a natural extension of Clara's behaviour so far, and that's been the problem with most of the season for me: it feels like the writers jump her to whatever's suitable for the plot, so there's no consistency in her character from week to week. Clara has been lying to Danny since she met him. Why would she stop now? was Capaldi doing a Tom Baker impersonation while he was talking to himself there? That whole scene was pure Baker, down to his gait running down the passageway. He did everything but pull on an oversize knitted scarf. It had to be intentional. I kind of zoned out for a while and missed why the mummy was a soldier. It seems significant, given the themes of the season, but I also don't feel like I missed anything important. I was distracted because the episode just looked strange to me; there was something video-like that had me wondering if Who wasn't being shot at a higher frame rate now or something. 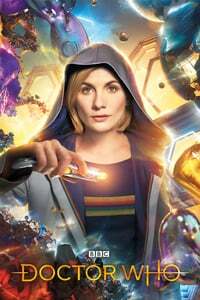 I was talking to someone on twitter who speculated BBC America might have just sped the episode up to add more commercials (this sounds like a joke, but I assure you this practice is very real). Did anyone else catch this? Did maybe someone just spike my drink? Because she finally came clean to Danny and now she'd like to continue having an honest relationship with a guy who loves her and who deserves to be treated with respect? I desperately want a cigarette case that holds jelly babies now. My daughter, a few seconds into the song, yells "Daddy! She's singing Queen!" before I noticed it, which tells me I am a good parent after all. Isn't Clara confirmed as leaving at the Christmas special? Which makes her emotional reboot at the end of this one a possible launch pad for "I've made that mistake once before, I'll never make it again!" Also, re: Perkins: When he first meets the Doctor in his workroom, he says something about how he had his eyes on the Doctor since he saw him snooping around the chair where a person died. I rewinded to the beginning when he said that, but never saw a moment where the Doctor was examining the seat where the old lady died. Did that maybe end up as an editing error? She wants to travel through time and space doing mad things, and (last week) she had a taste of the power conferred by the kinds of decisions those adventures lead to, which was a bit overpowering for her at the time. It's that that she asks whether the Doctor is addicted to (I think - I still need to watch the episode again), and it might be that that she is addicted to. She's as morally conflicted as the Doctor is - Danny's warning about inspiring officers a few episodes ago is related to this. After all, he's had thousands of years and a dozen incarnations to practise it, Clara (notwithstanding her Adventures in the Doctor's Timeline, which was possibly more than a conscious human mind could retain) hasn't. Danny is happy to settle down to a quiet life because he's been burned in a way that Clara hasn't, yet - the Moon decision was enormous and terrifying for her, but she made the right choice (the problem for her was the real possibility that she might have made the wrong one), so she could recover from it. In addiction terms, she hasn't hit bottom, yet. Danny is in the position of knowing why she wants to do it (which is why he hasn't made it a deal breaker on their relationship, despite what Clara says to the Doctor), but at the same time not wanting to see her burn. For Danny, a quiet life is a salvation, for Clara - at the moment - it's still a sacrifice. In real life it's nice if people can be open and honest with each other as much as possible, but in fiction it would just result in very short, uneventful stories. Clara isn't inconsistent so much as vacillating between two separate lives, which require quite different aspirations and expectations. In one life, she spends her days talking to children about stories, then goes home, drinks a glass of wine with her takeaway on the sofa with her boyfriend, watching The X Factor; in the other she's actually participating in the stories. I mean, I might be projecting things onto the series, but by doing that I'm getting a complex, interesting and coherent narrative that will probably work with the arc of the season as it turns out, so it might as well be what was originally intended. Given that they spend a lot of time planning the series and discussing these things (and they went out of the way to make sure that all the writers knew about the series arc and their episodes' places within that arc), it's not unrealistic to assume that it was intended. Well, that's a lot more words than I intended to write. And someone on another forum suggested the idea, which I quite like, that Perkins comes on board the Tardis, but most of the time he's just pottering around somewhere, fixing things, and we wouldn't see him. He would turn up every fifth episode or so to discuss spark plugs, or chat about wiring over mugs of tea and digestive biscuits. Thought I had later: It'd be nice if any of the female passengers on the car (other than Maisie) had speaking lines after the opening bit. There was a moment where one of the remaining passengers seemed like she was just about to open her mouth, but then she didn't. I was irritated that we never heard anything from any of the female experts on the train. As for Perkins, I think we were supposed to realize that he'd his eye on the Doctor in some of the Doctor's less kind moments, and declined because he doesn't trust/feel comfortable around the Doctor. How does Clara wind up sleeping on a bunch of uncomfortable looking rocks on the beach? The iTunes thing that is not Confidential says that's Foxes doing the Queen cover. I want that in my music collection, stat. Also the list of mythological monsters in classic/nu Who missed Pyramids of Mars, wtf? We assume that he's researching The Foretold as a weapon, but perhaps it's the life-eating aspect that he's interested in, and he's somehow descended from the clockwork people from the first episode, who have the same project. metaBugs-I agree with you in terms of wanting more of the problem solving and out smarting. The problem is this episode to me was very much like the Great Game from s1 Sherlock. An unknown nemesis sets up a deadly game for the "hero" to solve. Watson, much like Clara, served as a "carer" for Holmes until Watson has a breakdown in that episode because of Holmes's apathy. People are dying and Holmes doesn't care. When challenged, he asks if caring will help. Clara has identical issues in this episode, including breaking down and accusing the Doctor of being heartless. The ending is, obviously somewhat different, but I felt like I'd already seen this episode with different actors and really didn't need to see it again even if there were some great nods to Tom Baker. Problem solving yes, but can they be more original problems please? I was expecting this one to be terrible (mummies on a train! in SPACE!) but I mostly liked it. I want to watch it again and see if there's a solid tell one way or the other about who put the force field around the TARDIS; I'm leaning towards the Doctor because Clara mentioned that Gus would have had to know what the TARDIS was, and also because of the last-minute rescue. The "...in SPACE" thing has maybe seen enough use? They've already had a passenger ship, an aircraft carrier, a Spitfire, and a train in space, not to mention an uncredited cameo from A'Tuin. miss-lapin - Huh. I didn't spot that parallel whilst watching, but yes, that's a fair point. On a totally different subject: did anyone else get a laugh out of the bubble wrap? Other than the jelly babies, I didn't pick up on the references to old Who (I've only seen a handful of episodes, years ago), but I laughed when I saw the bubble wrap with glowing lights. First I thought it was a charmingly rubbish practical effect, then I laughed again at Clara's consternation when she saw it but (obviously) didn't get the reference to the cliche. I'm an absolute sucker for gags that play with the fourth wall like that. I'm not sure if they've had a Frankenstein's Monster episode or not, but Mary Shelley did travel with the Eighth Doctor in the audios. jbickers, I believe the thing the Doctor was examining with his screwdriver just before meeting Perkins was the chair, her future-tech wheelchair/medic. No one else disturbed that Clara accepted and almost expects the Doctor to lie to her? I don't remember the Doctor outright lying to companions before. Refusing to answer, yes, and the rare comforting lie to people who were dying, but he lied several times to manipulate people. Not disturbed, because I think thats the point. Clara now knows what she is doing is wrong, and she's doing it anyway, because the thrill of it is too good. Not for any noble reason, not to see wonders, for the sheer thrill of it. That's exciting and interesting, and I'm happy to see where they are going with it. I love that this is now a choice that Clara has made, and it is a really quite bad one. Not completely sure I loved the way the monster was defeated, but fine I guess. I really wanted a bit more of Gus, who was just wonderfully creepy and definitely deserves some more show time. Also, its super weird how the promised land just doesn't come up most of the time. Its not the end of the world or anything, but it is a little jarring. I wrote that too quickly - I meant that the Doctor is shown to be lying in a manipulative way to Companions. He's protected them from painful truths, or lied during jeopardy to protect them, and he lies constantly about who he is to get into places undercover, but this season, he seems to be lying on a different scale and with different motives. Clara doesn't really know about the other companions except what he's told her, so she might see this as another change of regeneration, rather than a big departure from the Doctor's core nature. And Gus was awesome. I half hoped Perkins the engineer turned out to be Gus because their voices seemed similar though, and a little creepy. He's protected them from painful truths, or lied during jeopardy to protect them, and he lies constantly about who he is to get into places undercover, but this season, he seems to be lying on a different scale and with different motives. Maybe for NuWho, but the classic Doctor is much more manipulatively duplicitous with his companions. What the Doctor says to Ace in The Curse of Fenric is much worse than anything he's done this season. It's really just Tennant's Doctor (the least alien of all the Doctors) who was honest, I think. In Smith's first season, Amy complained that the Doctor lied to his companions so that they would become diversions for the Daleks. River said that she needed to learn that "The Doctor lies" is rule number one. That rule's been repeated multiple times since then. Doctor Who's go at the Frankenstein story is 1976's completely wonderful The Brain of Morbius. Frankenstein's Monster itself can be seen beating up a few Daleks in Journey Into Terror (1965), episode 4 of The Chase. You do all know that the new Doctor is really the Master? Is that not clear to everyone by now? Well, that would work-out nicely with my favorite "This will make the fans' heads explode" idea to flesh-out the "Clara/Jenna is leaving" stories making the rounds. Capaldi-Doctor reveals himself as The Doctor, and Clara transforms into the new Doctor to do battle. Thus, yes, Jenna will no longer be playing Clara...She's now the Doctor. Semantics, and all that. I really liked this episode, given that I had kind of rolled my eyes at the Orient-Express-in-space idea. Was thoroughly delighted by Capaldi, who seemed to be completely in the groove in this one. I'm convinced that Gus is our link to the season arc for this episode precisely because we learned nothing about Gus. The fact that Gus "tried to kill" the Doctor and Clara doesn't serve as a good counter because the Doctor managed to get away with enough time to spare to save the entire crowd from the train. Also any evidence is conveniently destroyed. Also, yeah, the Doctor totally lies when it suits his purposes. Is there also a big increase this season of situations in which the doctor recognizes that someone in danger simply cannot be saved? There seems to be at least one per episode now, and I vaguely remember at least previous recent seasons having much more an every-life-is-precious-we-must-try-at-all-costs philosophy underpinning the doctor's actions (and/or the writers', in formulating the plot). Or maybe I'm misremembering? I'm finding myself jarred by it only because every time it happens now I think how neither the writers nor the doctor would let it happen if it were a main character whose life were on the line. Which...isn't a complaint. That's my problem more than it is the writing's. I really enjoyed Twelve and Clara's dynamic in the first third of the season, and while I'm enjoying the extent to which character drama rather than monsters of the week or mystery arcs are driving the season's plot, I also wish we could have spent more time with them being adorable and only somewhat dysfunctional before getting this dark. That said, the bittersweetness of the Doctor and Clara's interactions this episode was great, and I continue to marvel at Capaldi and Coleman's ability to carry on two entirely different conversations with their words and body language. Frank Skinner and John Sessions, peas in a pod. No, not really. I continue to marvel at Capaldi and Coleman's ability to carry on two entirely different conversations with their words and body language. I think I'm just really not good with body language, because this was one of the things I was looking for when I watched it again but I couldn't point out any instances of it. The Doctor shows consternation at the steampunk monocle being historically inaccurate but apparently isn't bothered by a jazz cover of a song not written for another 40 years after the time period the trip is recreating. This episode passes the Bechdel test, if only barely: there's a scene with Clara and Maisie talking about Maisie's gran. When the Doctor's calling Clara, the closeup of her phone shows a dancing preying mantis with a top hat. Not sure what that's about, maybe a cultural reference I'm missing? Gus kills the people in the kitchen car when the Doctor won't hang up on the call where Clara is giving him information about other ships the Foretold has been on. Gus doesn't seem bothered by their later phone call, when the Doctor is convincing Clara to bring Maisie. How is it part of the legend that the Foretold can be stopped with some sort of magic word or phrase? When the Doctor stops it, it disintegrates. Was that just because the Doctor told the soldier he was dismissed? Also, why is the soldier saluting and taking orders from the person who surrendered to him? The praying mantis image plays off Clara calling the Doctor a "gray-haired stick insect" in one of this season's early episodes. Gus's symbol is a monocle, by the way - a graphic of one appears on computer screens when he's speaking. Not that that helps at all, but it's obviously deliberate, if only because stylised graphics of eyewear don't just happen. I enjoyed it and continue to see Capaldi as the Doctor, versus someone merely playing the Doctor. For the most part, was the Doctor's criticism of Clara on the downside this episode? It felt like it, it also felt like he was allowing himself to have a more open and honest conversation with her than he had previously. It's an odd situation, where Clara and the last Doctor had a great rapport, and now the current Doctor and Clara have been struggling to find it, while both know that it had previously existed. Is the Doctor this season slightly obsessed with being alone? In our flashback to child Doctor, he's presented as alone and afraid. Though, it's not necessary a physical presence, as much an emotional one. Several times we have seen him leave the stage, so to speak, to investigate the Moon egg or to try confronting the alien killer bot all on his own, and in this episode, to explore the mystery of the mummy without Clara (but, Clara is on his mind). The theme of soldier is definitely being pounded into this season. Our mummy was a soldier with tech gone awry (and I agree as someone stated, why if the special word was surrender - would a soldier then accept the surrenderer's dismissal order? ), Clara's love interest is a soldier, and the killerbot was a ruthless soldier. Given the discussion between Pink and Clara, it seems that the question is how much of a soldier is Clara? Is she doing things because she's ordered to, so to speak, or is she doing them because that's simply who she is? The age difference reinforces the aspect of seniority between Clara and the Doctor, it's not necessarily two friends working together, but a senior ordering the junior (which is not an unusual Doctor/Companion dynamic). Whenever I see a train in space, I think of the Galaxy Express, so this was distracting to me, but not surprising for the show. We had the Titanic in space, why not the Orient Express? All we have left is the Stage Coach in space for dynamic people movers in history. I really liked the fresh interpretation of the mummy, even the countdown clock, though, I wondered, "What if they can evade the mummy for 67 seconds?" The engineer, while interesting, didn't seem interesting enough to make a companion. One point, he claimed he had been investigating the matter for a while, when he appeared with documents and what not for the Doctor. By all appearances, everyone on the train were experiencing the murders for the very first time, be it the Captain, the crew, and the guests. Yet, somehow the engineer had a head start. Is he Gus? Obviously the voice of Gus spoke while the Engineer was present with everyone else, so that's a strike against that theory, but that doesn't mean much in a future with a train in space, where robots to assistants could perform these tasks for you. Could Gus, who wants to backward engineer the technology be the Engineer who was eagerly working with the Doctor to solve the mystery? In all, the season for myself, has been generally improving. We clearly need a stage coach in space. would a soldier then accept the surrenderer's dismissal order? The Doctor said or implied that the soldier knew the war was over but the tech made him keep going regardless of his desire. Once "surrender" freed him, he could then act on his own behalf which was to salute as a thank you for being released from his torment and being able to finally die. I was positively enthralled by Galaxy Express 999. Thanks for the trip down memory lane, Atreides. I do hope Perkins will reappear, because who he was seems very unexplained. He actually came across as a rogue time lord, so much so that I was almost expecting that to be revealed at the end!